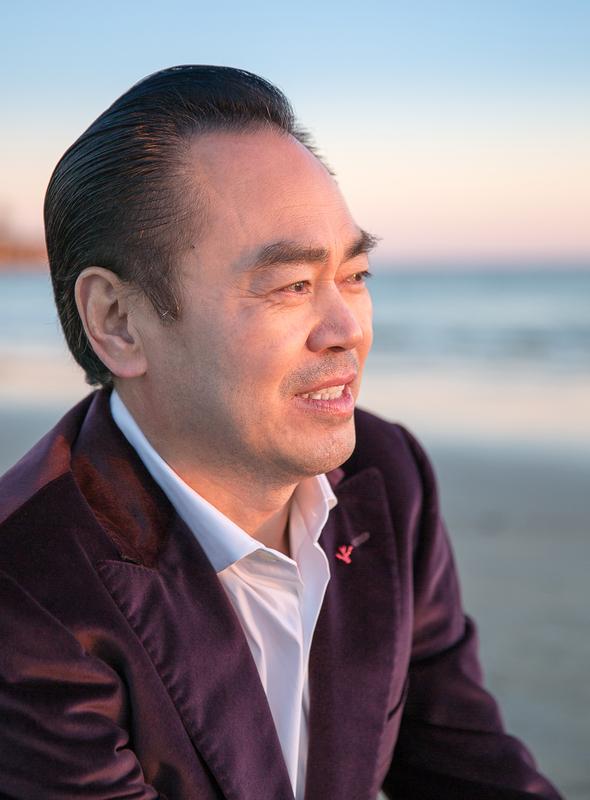 Dr. Bing N. Sun, Cetis President & CEO, shares reflections on business, and life. Story adapted from Leisure & Hospitality magazine Winter 2015 feature story. 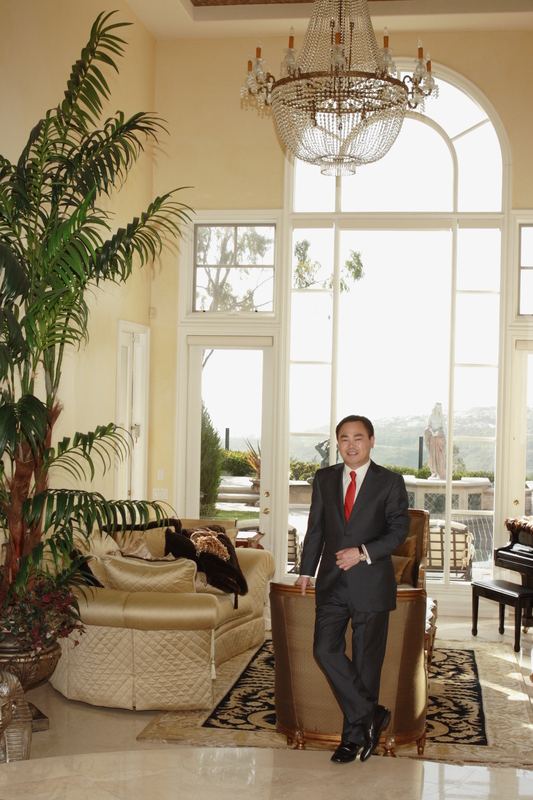 Dr. Bing N. Sun had no plans to launch a telecommunications company when he arrived in the United States 26 years ago. Rather, Sun was a scientist who had spent years studying Physics, materials science and engineering in Europe and in China. “I didn't have millions to start a business, so I went into the consulting business to sell knowledge,” Sun says. He founded Scitec Inc., a custom manufacturing and consulting company, and listened to industry-leading companies to find out what products and services were in highest demand. “I didn’t expect to develop a telephone,” he says. Sun recognized a growing market for low-cost hotel phones. As a result, he implemented a plan to design, manufacture and market phones, and Scitec launched its telephone under the Aegis brand name in 1995. The company later released an economy version of the phone hoping to expand its marketshare. “I found there was a big demand for telephones,” Sun says. Specifically, the demand was coming from hotels and motels, which were seeking more reliable telephones at a lower cost, he says. But Dr. Sun had more ambitious goals than providing sturdier, less-expensive telephones for hotel rooms. “Our goal was to capture all aspects of the lodging industry, so we released two new wall-mountable phones especially designed for bathrooms, hallways and hotel lobbies, among other public areas,” Sun says. Scitec introduced several additional models for the hotel industry over the next two years, and they were quickly adopted throughout the industry, Sun says. 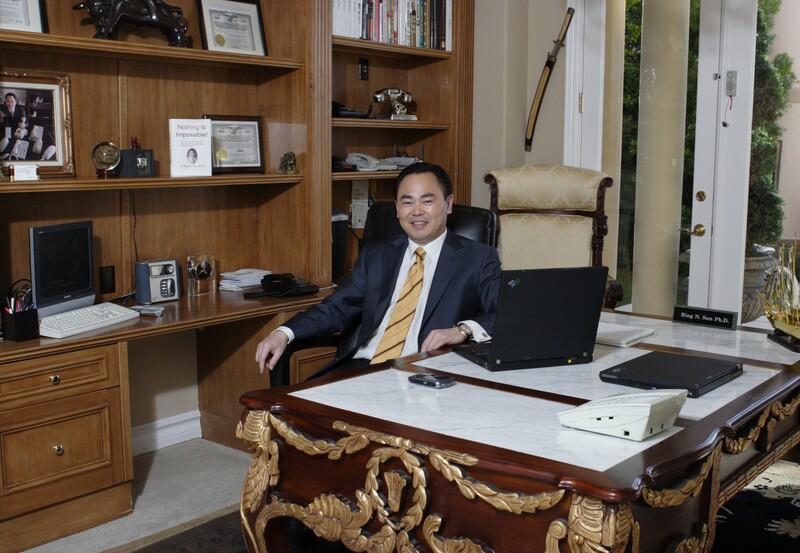 Dr. Sun pauses from work in his home office. Today, Sun is the CEO of Cetis, a leading global telecommunications business that has provided more than 30 million hotel phones at 150,000 locations around the world. Cetis was formed through a 2006 merger of Scitec and TeleMatrix, a leading competitor; and the acquisition of Teledex LLC, a designer and manufacturer of a broad range of analog and VoIP hotel phones. “We consolidated three companies,” Sun says. The Colorado Springs, Colo.-based company maintains office in Champaign, Ill., the United Kingdom, Beijing, Malaysia, Dubai and Mumbai. Dr. Sun at home in California. Sun owes much of his success to the experiences of his childhood, he says. The son of a rice farmer, he grew up in poor family in a small rural village in China. He recalls having little to eat and working in the rice fields when he was 8 years old, earning less than one dollar a month. “That was my motivation to study,” Sun recalls. “We had no heat in the winter, so in late Fall I put on my winter clothing and studied by candle light in an effort to learn, and excel to a level that I could leave the challenges of that life through education,” Sun remembers. “It wasn’t easy, because I faced many obstacles, including rejection by one of my teachers at elementary school, who informed the class that I was incapable of learning, and subsequently burned my schoolbooks on the class grounds,” he adds. ​“His father advised him to study hard if he did not want to follow in the same footsteps in the rice fields, and he listened,” say John Grubb, senior vice president of marketing. And as a result, Dr. Sun developed a work ethic that he still carries with him to this day, and openly shares with others, he notes. Editor's Note: We want to express our sincere appreciation to Cetis partner, Earthbend, for their kind congratulatory advertisement, which accompanies the magazine article.